February 4, 2016 April 14, 2019 - The 'Noms. 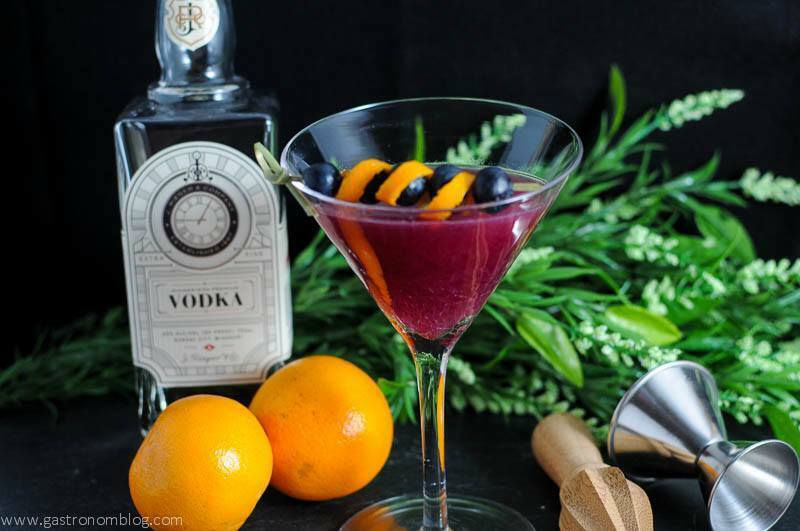 Orange, pomegranate and blueberries combine to make this beautiful color vodka martini. Like the sparkling gem that is this cocktail’s namesake, this drink is sure to add a bit of sparkle to your night! 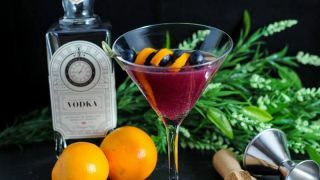 The Garnet combines fresh blueberries, pomegranate and citrus to make a cocktail that is elegantly simple and beautiful. We were inspired to come up with this cocktail after a visit to The Looking Glass Cigars and Spirits in Omaha where we had the chance to try the excellent J. Rieger & Co. Vodka. After getting a chance to try this Midwestern vodka, we ended up coming home with a bottle. We had been looking to make a pomegranate liqueur cocktail, so this was the perfect base for it, too! The J. Rieger Company is a distillery from Kansas City who trace their roots back to 1887 when their founder Jacob Rieger made whiskey as a way to support his family. Their Midwestern Vodka is rather unique, distilled from a combination of potato, wheat and corn, giving this vodka a balanced and rather layered flavor and a nice aroma. 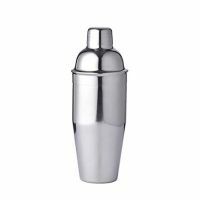 Typically vodkas are bland and flavorless, but this vodka was anything but, which made it one that we wanted to try in cocktails. We thought of a vodka martini! 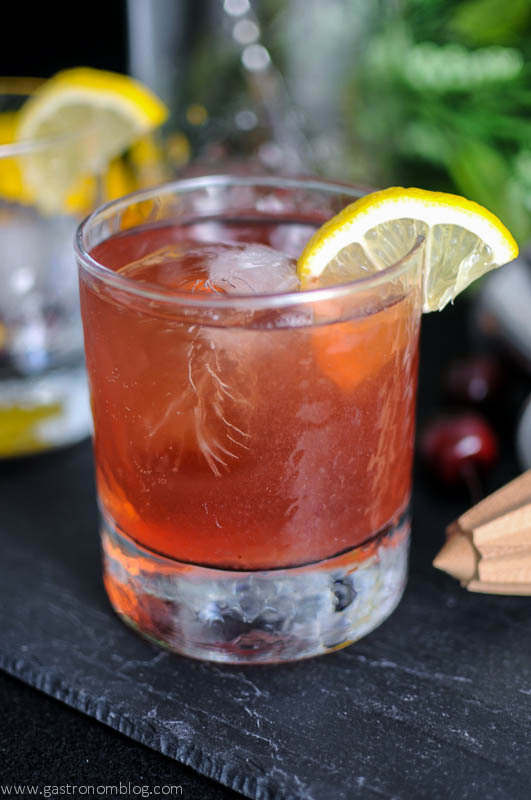 What Ingredients are Needed for the Garnet Cocktail? The Garnet is beautifully ruby colored from the fresh blueberries and pomegranate juice. Orange liqueur and fresh squeezed lime juice give a bright sweet tang that is balanced by a bit of honey. The vodka added a bit of sweet burn and just a hint of a cereal flavor which rounded out the drink. 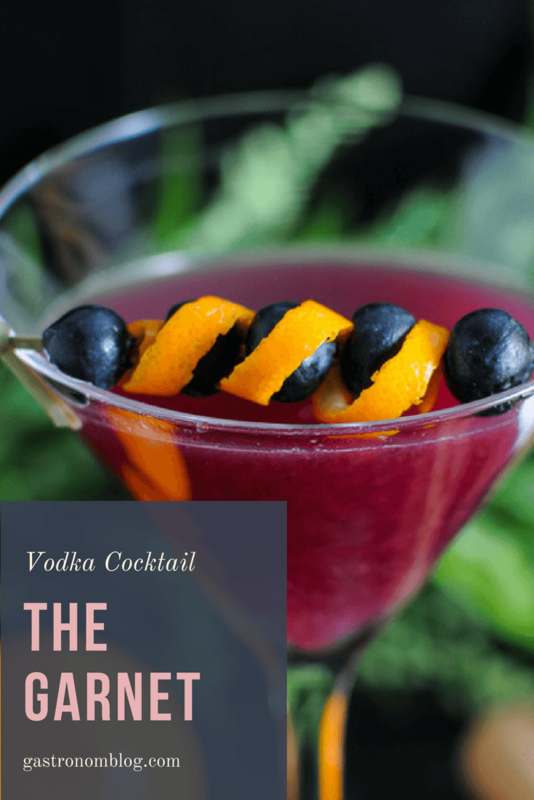 Finish this vodka martini with fresh blueberries and a bright orange twist to add a pop of color contrast while making the drink look like a real gem! 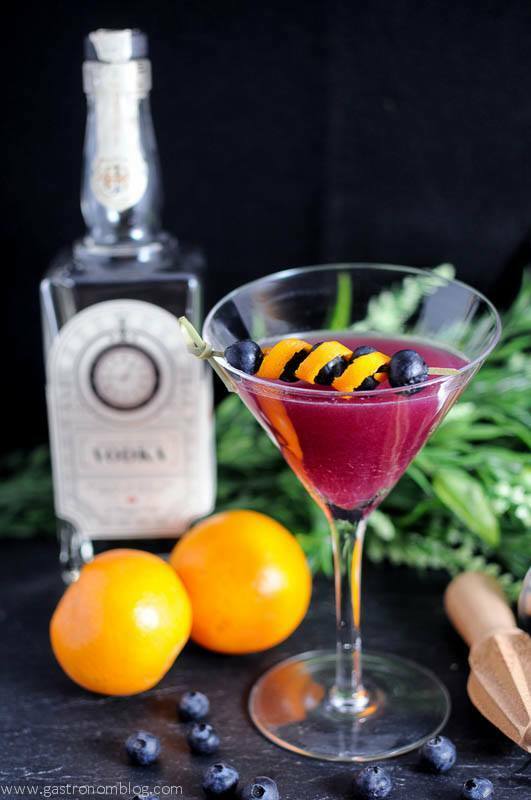 Make sure to try our Blueberry Pie Cocktail as well! 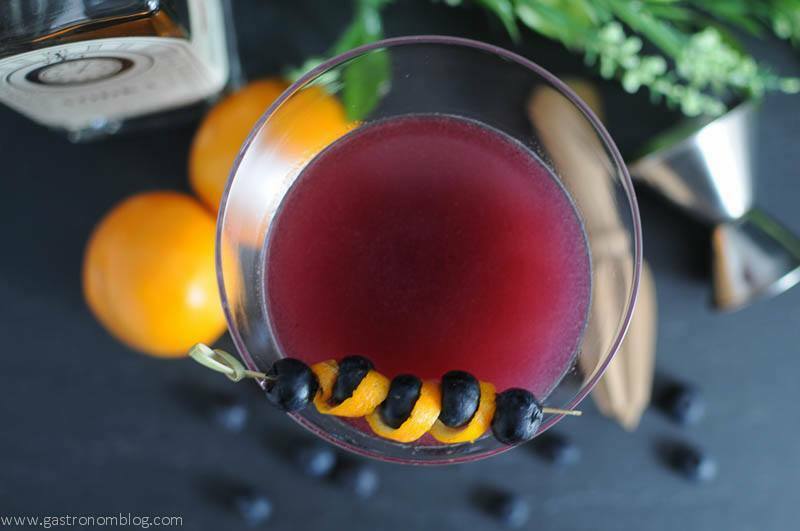 An orange and pomegranate cocktail, with the sweetness of blueberries and honey. 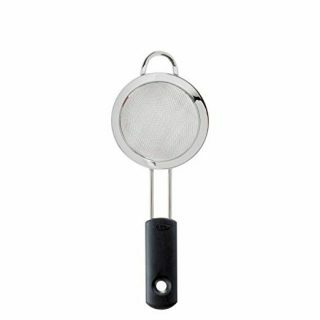 Place 8 of the blueberries into the bottom of a shaker with the honey. Muddle the blueberries until fully crushed, releasing the juices. Add in the vodka, orange liqueur and juices. 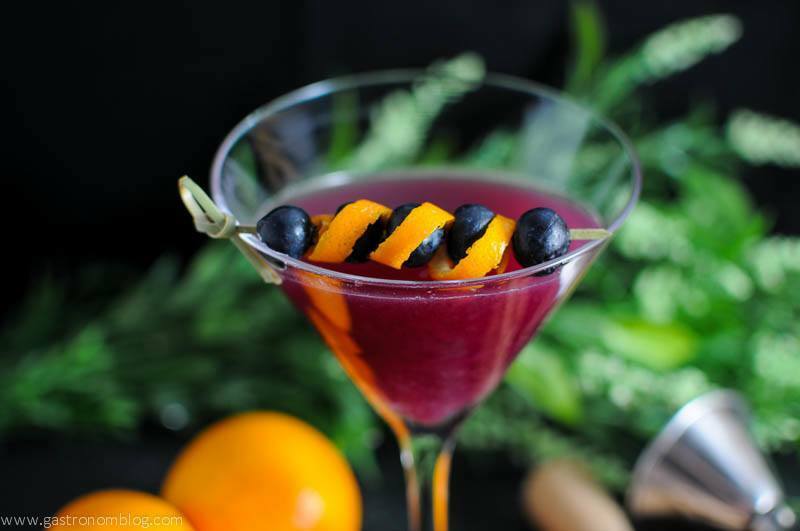 Garnish with an orange peel and blueberries. 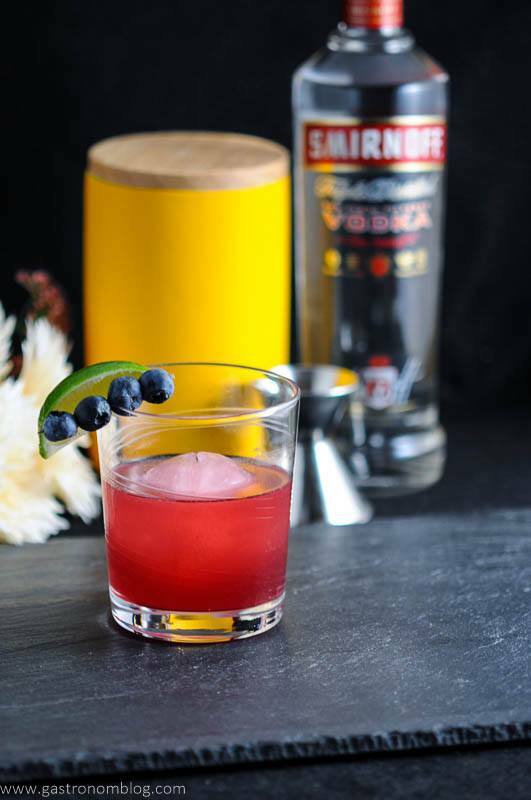 PIN THIS GARNET COCKTAIL RECIPE FOR LATER! Gin would be really good in it too! Give it a try and let us know what you think! This cocktail is right up my alley. I love drinks with pomegranate in them and i enjoy blueberries so i can see me trying this drink. Blueberries and pomegranate is a winner in our book! Yum! I need to make that this weekend. Hope you had a chance to make this! Let us know how you liked it! Yum, this looks wonderful! Definitely bookmarking this to make at a later date 🙂 It sounds so refreshing, which is an absolute must in my book for a cocktail. Thanks so much for sharing! Hope you give this one a try! We are sure to be drinking more of these in the near future! It was really good! Definitely a great sipper! Ooooh, that looks so pretty! I love a good lookin’ cocktail. Sounds delicious. Thank you! We are trying to step up our garnish game! We loved how pretty this drink looked! Thanks! 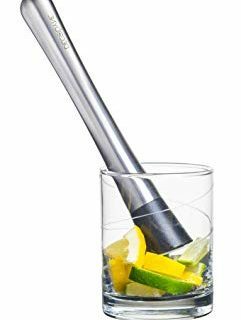 This is an amazing cocktail! I want one now! Sounds delicious! I have not had flavoured vodka, as you mention, it is bland. Good use of color too. It makes the drink look very appealing. This sounds fabulous! And I love your garnish! What a beautiful cocktail, and it sounds delicious too! 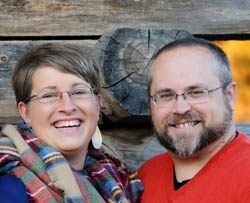 This would be a great change of pace for you while staying in the martini family! this looks gorgeous, and i would love to try it!! Thanks! It was a good one! Give it a shot and let us know how you liked it! This one really looks like a tasty one! YUM! Thanks! We hope you give it a try! Great! Hope you enjoy, cheers!